Our church is blessed with an outstanding children’s ministry. 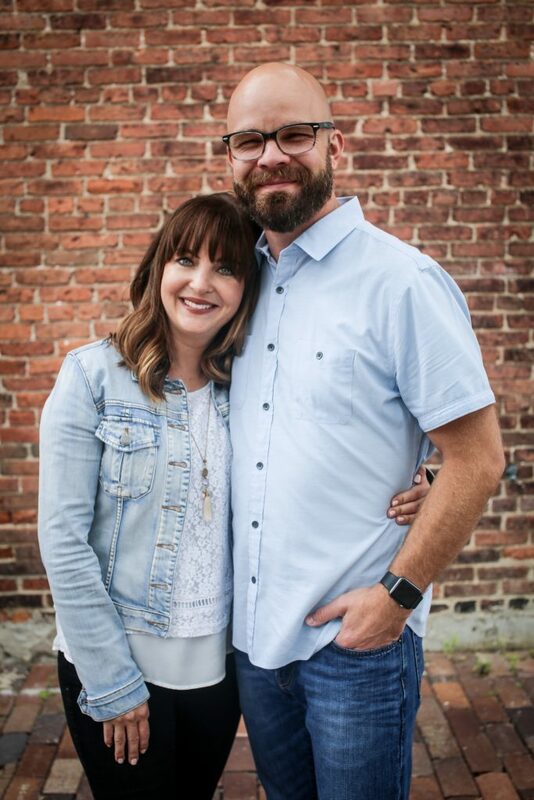 On any given Sunday, my children might be treated to a puppet show, an obstacle course, game show prizes, snow cones or sweet tarts—at the 8 a.m. service, no less. All week long, the kids in our congregation look forward to their next chance to sing and dance and squee! down the indoor treehouse slide. No wonder these kids love Jesus. At church, he’s a super fun guy. Of course as parents we know it’s not the church’s responsibility to instill Christian values in our kids. Faith begins in the family, where it’s our job to model and teach biblical principles on a daily basis. But what if home lacks the fun factor? Are we making God too boring for our kids? Yes, I know, the Bible tells us to be holy, not goofy. But a little bit of childlike glee can’t hurt. As a tool for motivating and relating to our kids, it can actually help endear their hearts to Christ. Here are five simple ways you can make the Bible fun for your family. 1. Invent memory tricks. 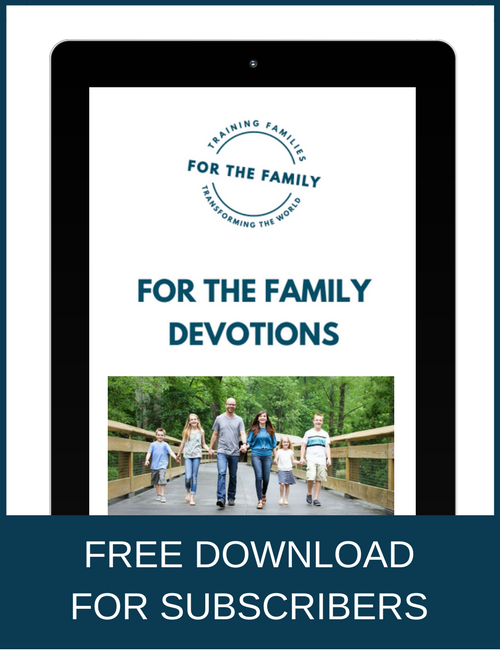 To help my kids memorize Bible verses, we make up our own songs and sing them over and over at the top of our lungs until the verses are committed to memory. Sometimes we dance, too. Try reciting verses during a game of balloon volleyball, where whoever bops the ball says the next word. Or write the reference in Reddi-wip and let the kids slurp it after saying the full verse. 2. Make the most of wait times. Kids get antsy in store checkout lines and traffic jams. Why not turn those inconveniences into opportunities? Every time you get stopped at a red light or have to squirm through a five-minute wait at the orthodontist’s office, quiz your kids on Bible trivia. Make it a contest where the winner gets to choose a book or Bible story to read at bedtime. 3. Reward their godly behavior. I used to hand out “good girl tickets” when I caught my daughters demonstrating a godly character trait such as obeying the first time or speaking kindly to each other. Once they earned ten tickets each, I took them out for ice cream. 4. Send mail. Kids love to get cards, letters and packages in the mailbox. Write them letters of encouragement, or find some cute printables on Pinterest and pop them in the mailbox for your kids to discover and enjoy. Better yet, subscribe to a care package service like Lifetree. Their Buddy Box (for elementary age kids) or Soul Feed (for college students) arrives each month filled with edifying messages, gifts, activities and even snacks, all of which serve to build your child’s faith. 5. Laugh. It’s a simple reminder, but sometimes we get so caught up in the rules and routines of every day that we forget to laugh with the people we love best. 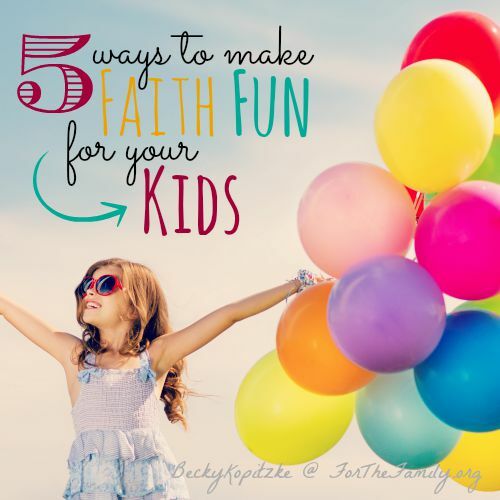 Showing our kids that faith is fun doesn’t need to require a lot of effort or planning. The best approach is to walk the talk. If we parents live a lifestyle of counting blessings and praising God for the joy he brings, our kids will learn to do the same. “Our mouths were filled with laughter, our tongues with songs of joy. Then it was said among the nations, ‘The Lord has done great things for them.’ The Lord has done great things for us, and we are filled with joy” (Psalm 126:2–3, NIV).